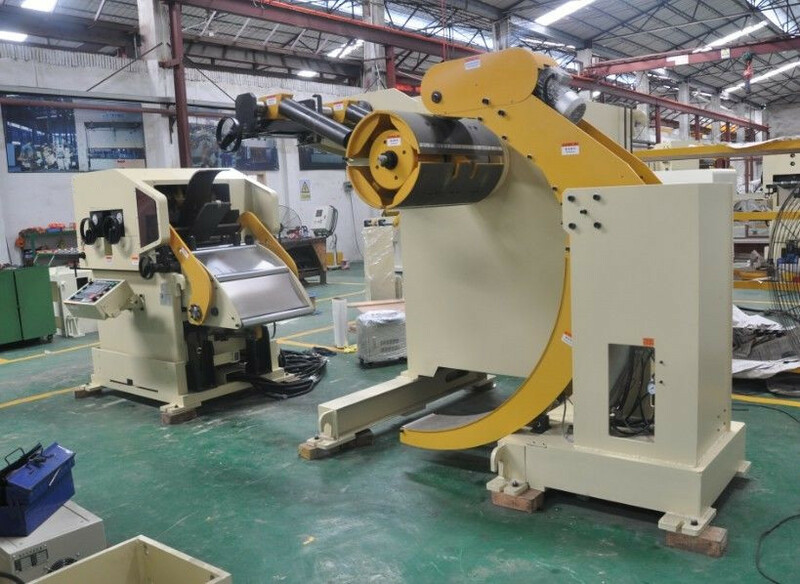 Decoiler straightener Feeder are suitable for all kinds of stamping production lines, such as hardware,electronic combinations,tools,metal pieces,zinc-plating sheets ,electroplating sheets stamping line. 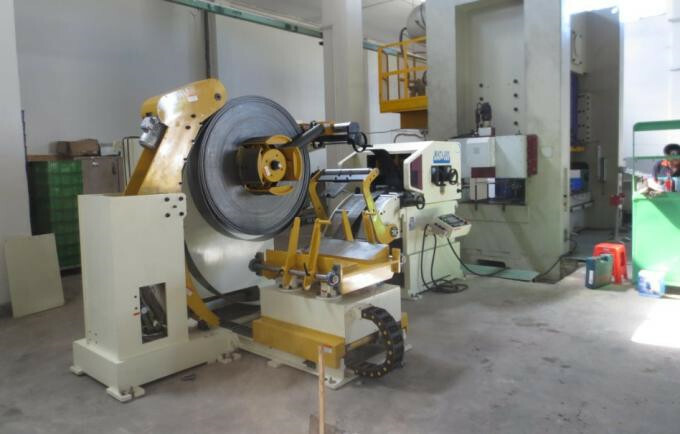 Decoiler straightener feeder's application materials is various metal coils, such as stainless steel, carbon steel, silicon steel, CRC steel, galvanized iron, copper coils, aluminum coils and spring steel, etc. Decoiler with variable drive & loop control system. 3 or 4 jaw self-centring manual expanding mandrel of welded and stabilized steel. Rotation jog mode from main control box. One Pressing Arm, Coil well-knit, no disperse. Two limiting arms, one is fixed and other is movable, adjustable depending on the strip width. Gear driven feed roll to ensure non-slip positive feeding. Straightener Head consisting of 7 nos Straightening Rollers, 1 Pair of Pitch Roller & 1 Pair of Feeder rollers are provided at entry & exit respectively. All upper rolls are individually adjusted with mechanical leadscrews and bevel gearings. The level of upper rolls penetration is shown by position indicators. Power transmission to the other straightening rolls via precision spur gears. Pneumatic actuated lifting of the set of upper rolls in synchronism with the forming machine to allow entry & self-centring of the strip when working with dies with automatic centering devices (pilot release). 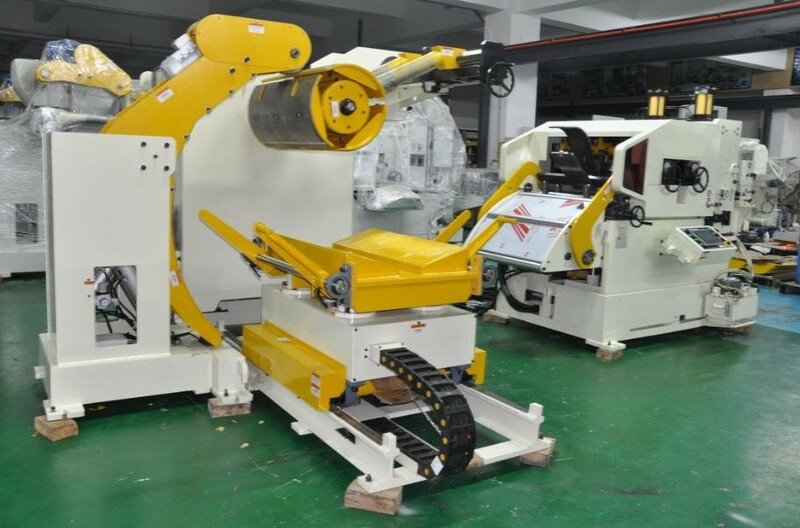 MAC4 Decoiler Straightener Feeder is working in our customer's factory. 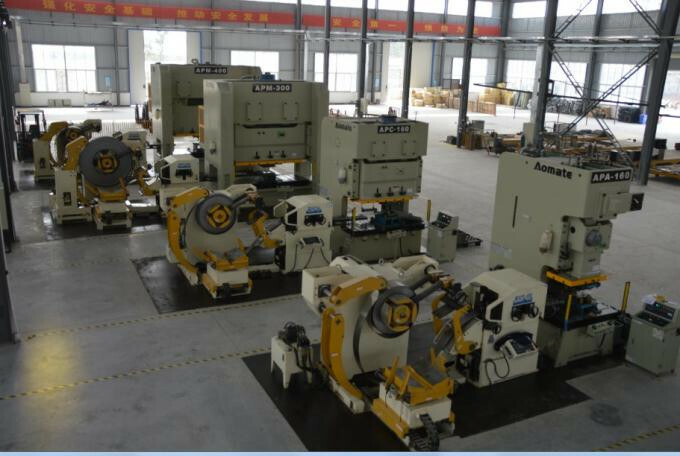 Decoiler Straightener Feeder Machine for making the bracket coil sheet feed line. This machine is workinng in one of our customer's factory, they produce U type parts with Decoiler Straightener Feeder Machine. Looking for ideal Compact Feed Line Manufacturer & supplier ? We have a wide selection at great prices to help you get creative. All the Uncoiler Straightener Servo Feeder are quality guaranteed. We are China Origin Factory of Coil Feed Lines. If you have any question, please feel free to contact us.